I thought it was something about there not being a river any more so you couldn't build a bridge or something of that nature that prevented the return of Keith Olbermann to ESPN. But, after speculation surrounding a dinner between Olbermann and ESPN President John Skipper back in March stoked the rumors of a potential reunion, the wheels were apparently greased just enough to result in what was once unthinkable. Tomorrow, ESPN is expected to announce that Olbermann will host a nightly, hour-long program on ESPN2 titled "Olbermann" starting August 26th. Here we go. Interesting that Olbermann is returning to host a show on the network which he helped to pioneer by saying "Welcome to the end of my career." 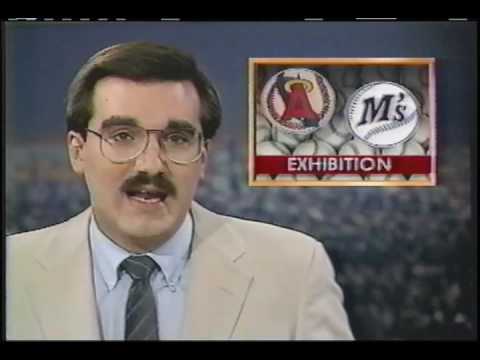 But besides that, the tremendous leather jacket, the making Suzy Kolber cry and whatever the hell that hack Mitch Albom was doing there, I'm sure Olbermann has great memories of the Deuce. Back to the move itself, it has become clear to us that ultimately, these two needed each other. Olbermann has been off the air since the Current experiment discombobulated in March of last year and save from some scratch appearances on MLB Network, ABC's This Week among other places, he largely has been off the scene. It was announced that Olbermann was going to host TBS's postseason coverage but it was clear that that was just a part-time thing (and it is unclear if this new program will change those plans). This move allows Olbermann to get back to what has always been considered to be his strength, talking sports. After all, he only was part of the most iconic SportsCenter team ever. And for ESPN, yes we know Olbermann's known issues for being difficult to work with, and his departure from the "Worldwide Leader" was certainly not pretty. But considering the network's worrysome ratings declines, it was clear that they needed to inject some personality to help curb the decline and giving Olbermann a late-night program, a program of which ESPN has never had, could be a unique way to draw some viewers to ESPN2, whose lineup is getting shuffled every once in a while. Not to mention that ESPN finds themselves about to encounter a brand new competitor in Fox Sports 1, which is debuting in mid-August, that has built itself an impressive talent lineup at least initially as well as some quality properties. Bringing in a guy with the star-quality that Olbermann has, no matter how abrasive and polarizing he is, could be a risk well worth taking (he is not allowed to discuss politics on this program). And considering that Olbermann does not have to work in Bristol, rather Times Square Studios in the studio that used to house Nightline, maybe this will work out.